ever felt there was a flowerchild inside of you just busting to get out? time to book in for one of our floral workshops!! 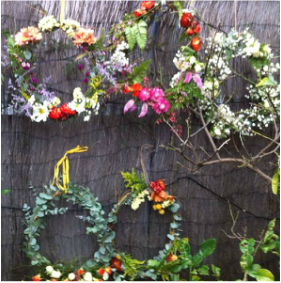 learn how to use the flowers from your garden to make a beautiful bouquet or seasonal wreath. perfect for anyone who loves flowers and loves jewellery. be the talk of the town with your very own botannical accessories - earrings, bracelets, rings....and we can show you how to make them! suits all abilities and the littlies would love it!